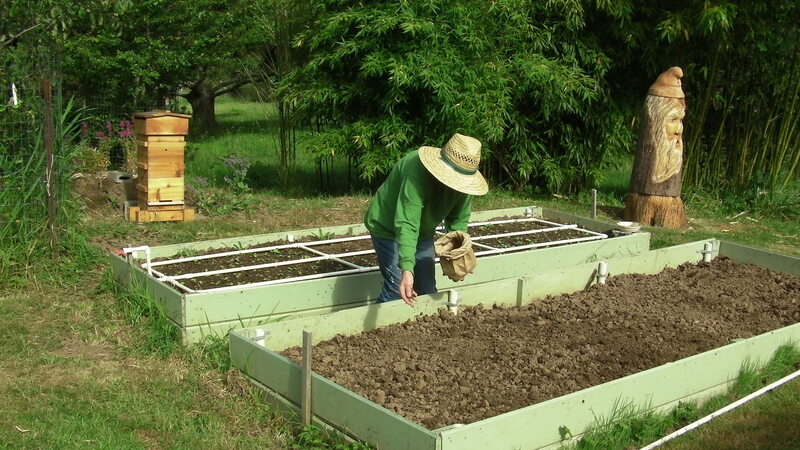 Plant Buckwheat for the bees! Burying the very available crab shell and coffee grounds to spice up the soil is the first thing. Warre hive is on the left and Bee Beard carved log hive on the right. I’m in good company. 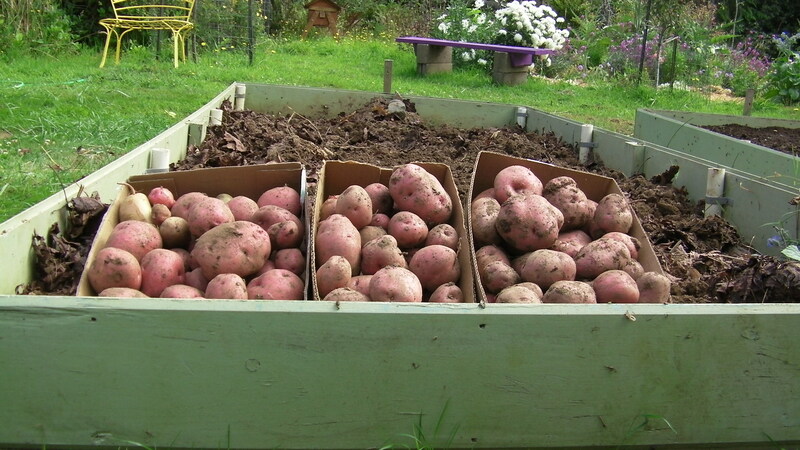 Potatoes…should we harvest now or leave them in to grow more? If I leave them in, the voles might eat them…I better take them out. 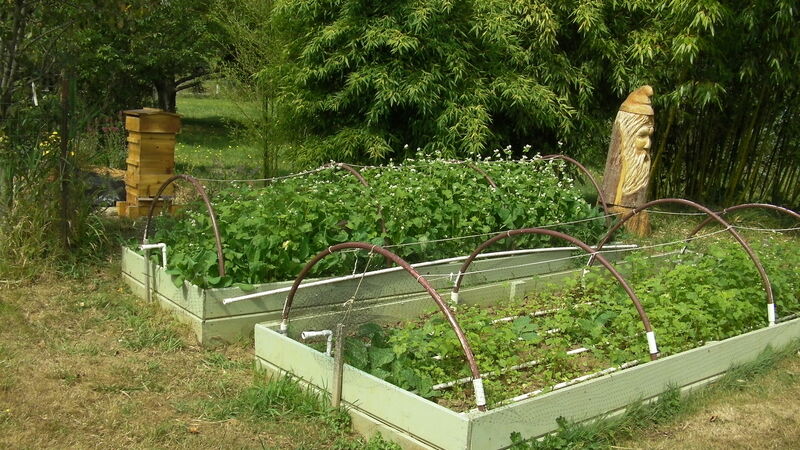 Then I can plant buckwheat in both beds. 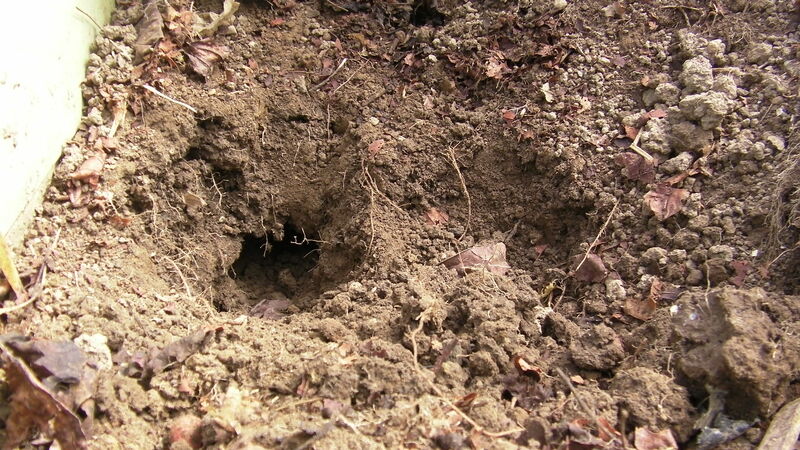 A mole tunnel…the moles dig the tunnels, the voles follow the tunnels to the potatoes. 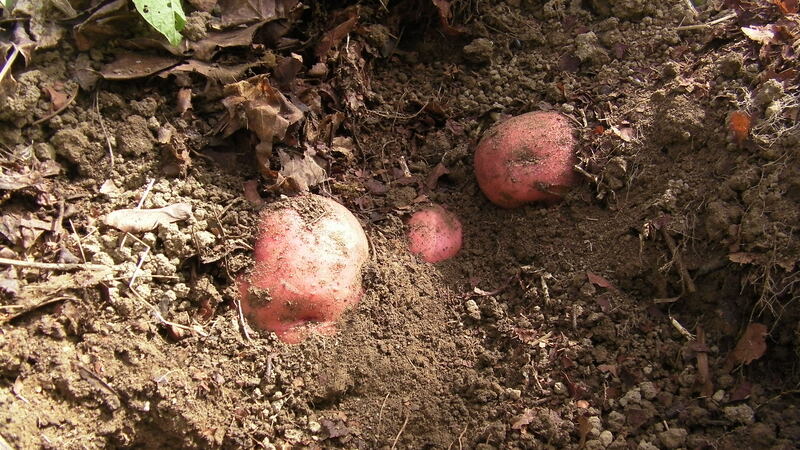 More than a few potatoes had been chewed on, so it was good idea to get them out of the ground. Some of the potatoes harvested from this first potato bed. We could have left them in to grow more, but the voles would have taken a big bite out of our harvest. 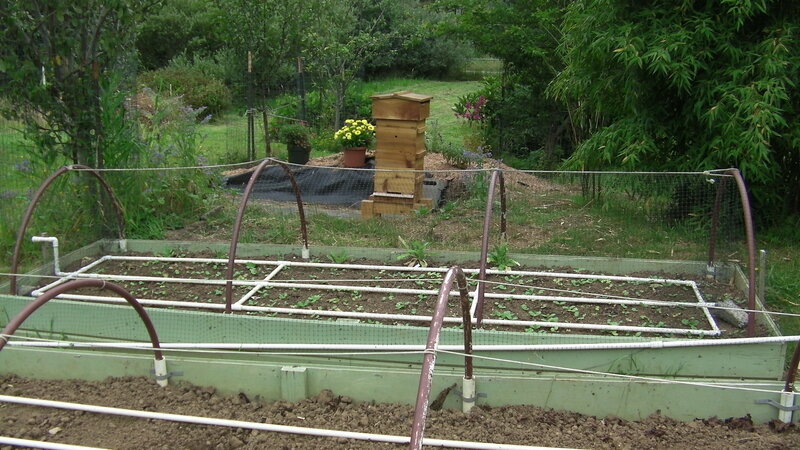 This way we can grow buckwheat in both beds for the bees in September. We’ve been fairly successful in the “no tilling” method for a few years. 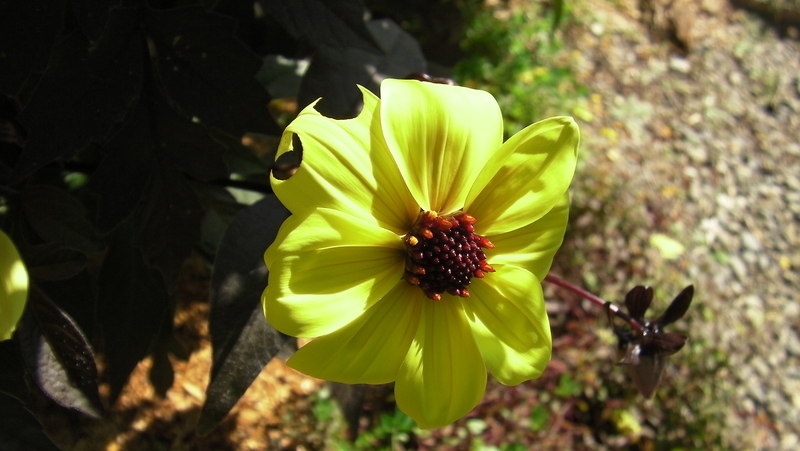 We think it’s important to use less manufactured energy and more physical energy. Is spading ‘as good as’ using a tiller? Probably not, but it’s important to be able to grow food without using fossil fuel for the possible time when we don’t have any. 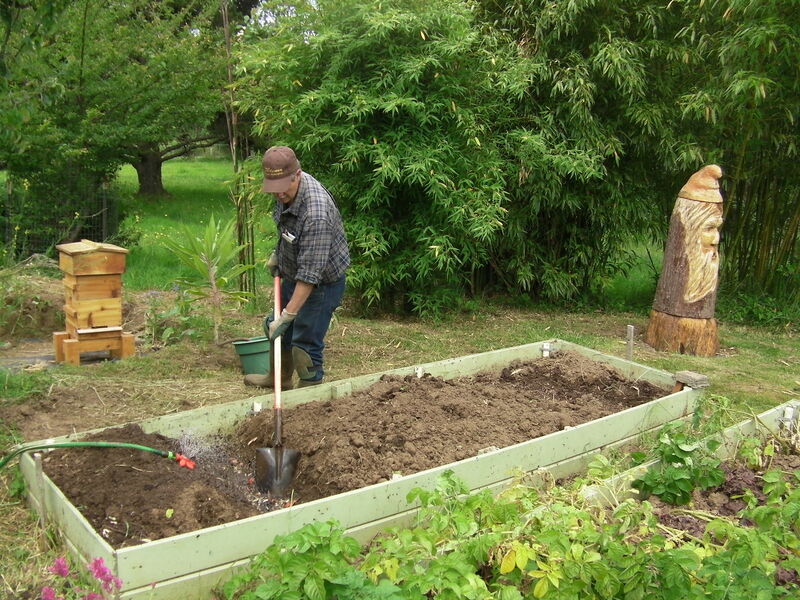 We have dug in crab shell, kitchen scraps (no meat), comfrey leaves, and coffee grounds to enhance the soil. Now we’re planting the buckwheat seed. The drip irrigation grid and the deer netting are in place. 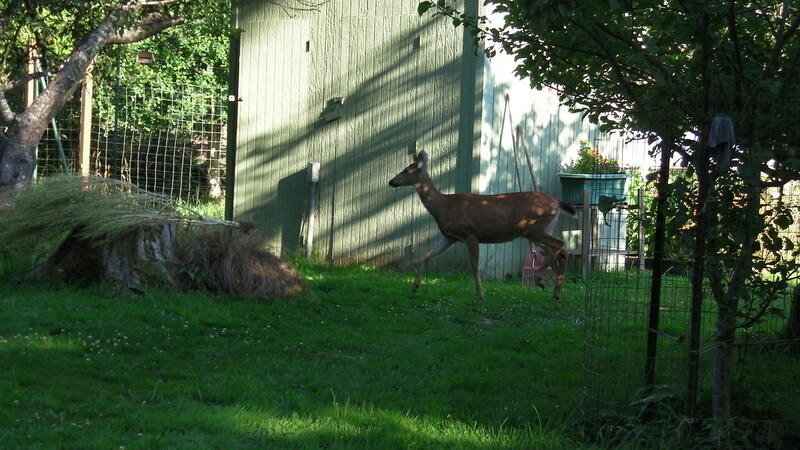 Why do we need deer netting? 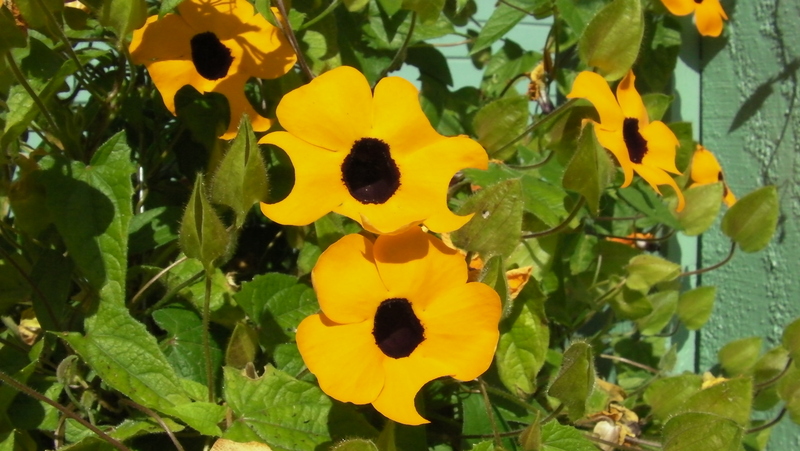 Because of her…and all her offspring! Sept. 9, 2012…about 5 weeks after planting, buckwheat is looking good. Bees have been working the blossoms for a couple of weeks already. Sept. 9, 2012…Honeybees attending to the buckwheat blossoms under the deer netting. 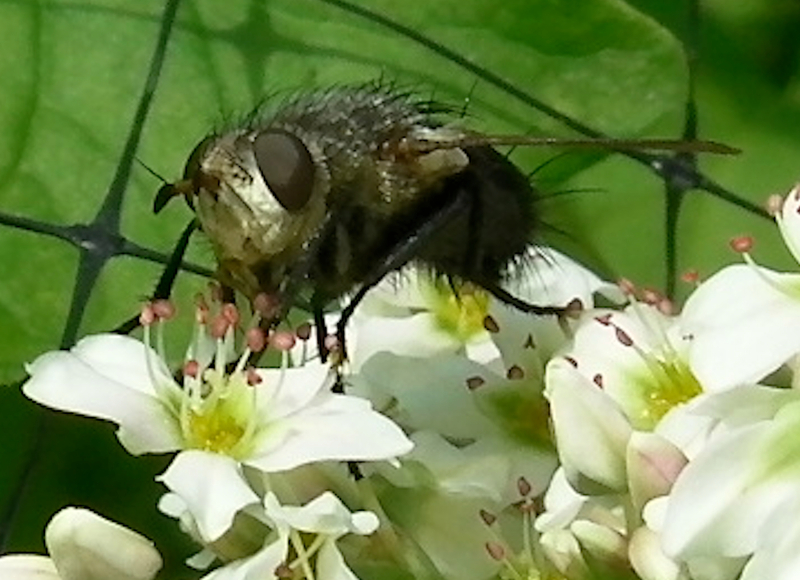 A fly mimicking a bee on the buckwheat blossom. 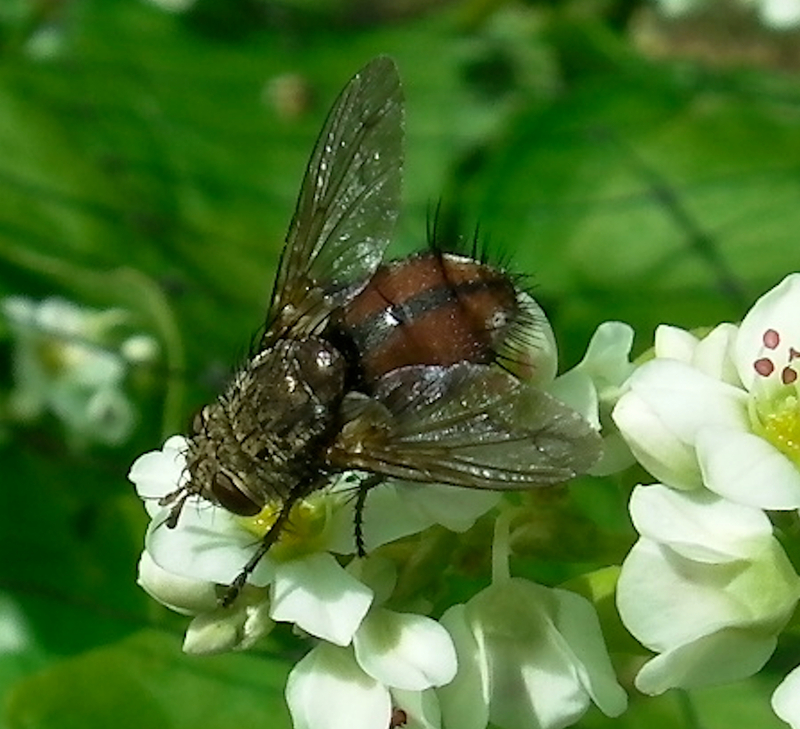 Another fly, this time with a red abdomen.